Can you betray your country to redeem yourself? Former Special Forces operative Zeb Carter couldn't save his family from terrorists. He's never forgiven himself. To escape his guilt, he throws himself into missions--the riskier, the better. The lone wolf mission in Afghanistan, to rescue American hostages captured by the Taliban, is an opportunity to make peace with himself. But when he gets there, he finds everything he was told was a lie. This mission is one last chance at redemption. It now comes with a heavy price. Can he betray his country to atone for himself? Love edge-of-your-seat storytelling from authors like Lee Child, David Baldacci and Vince Flynn? 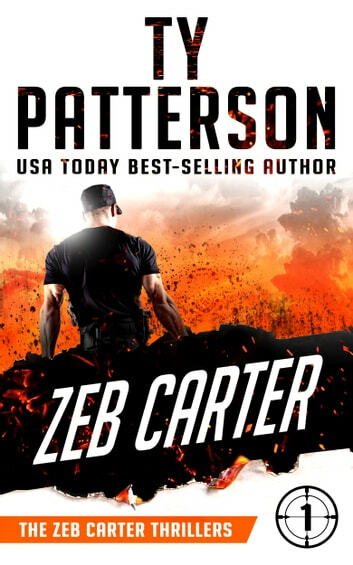 Then join Zeb Carter in this full throttle thriller from Ty Patterson. Make it your next mission. The ultimate soldier. Zeb Carter. This is Zeb in the early days before he has set up the agency from the Warrior series. Zeb is former military. Sniper. Strategist. Undercover agent. Order taker--not so much. Zeb accepts the assignment but follows his own rules. As the blurb describes, this is a suicide mission. When it involves bringing home three soldiers held hostage Zeb will do whatever it takes--even die. There isn't a minute of inaction. His disguises put him in multiple situations that have one thing in common, he could be killed at any time. The terrain is formidable as is Zeb. One of the best things about this super guy is that he is human and even makes a mistake every now and then and pays the price. It makes him real. Another Ty Patterson winner that I could not put down. The start of a new series I can't wait for more. Bring them on! I voluntarily reviewed this advanced reader copy and I have not been compensated in any way. Elite covert operator Zeb Carter never fails to capture both the bad guys and the reader's attention. We meet Zeb in the days before The warriors have formed and get a glimpse into the past. A great read. Couldn't put it down until the end. Can it wait for next story. It's typically an edge-of-the seat thriller when Zeb Carter is in the mix and this first of the new series is no absolutely exception. Action abounds, conspiracies unravel and no one should cross Zeb's dark side, it tends to have fatal consequences. A word of caution: both Patterson's Warrior series and this one too, are highly addictive! 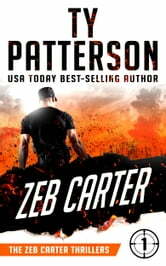 Ty Patterson has done it again with another great great book, his time focusing on Zeb Carter of Ty's Warrior series. In fact, this book is a prequel to the Warrior series. As always, Ty's book is fast paced and action packed. Since I first discovered this author's work, he's become one of my favorites, cranking out books faster than anyone I know while maintaining the highest of quality. You don't have to have read other books in the series to enjoy this book, but I'm sure you'll want to after you finish if you haven't yet read them.